I know the title of this insight may seem rather “un-insightful” and painfully obvious, but in the sexuality conversation, more people get hung up on talking about Jesus, than actually revealing who he is. You might feel a lot of pressure to talk about sexual ethics when you’re with LGBT people, but I think that’s because we’ve misinterpreted our purpose in people’s lives altogether. There’s a big difference between talking about God’s standards versus revealing what he’s like, and revealing what he’s like seems to be my purpose for existing in general. 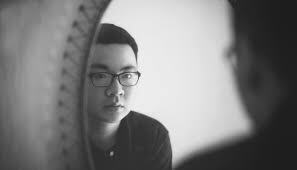 If I could boil down humanity’s purpose and God’s reason for creating us, it would be: To look like God in all that I am - my actions, my thoughts, & my feelings; It’s what it means to be made in God’s image. We’re walking reflections and revelations of God. We’re called to think like He thinks, feel like He feels, and treat ourselves and others the way He has treated us. This is my calling and this is my purpose when I’m with anyone. I hope you hear that this is not a “tactic” to reach LGBT people – rather it’s who we are as children of God. So my goal is to reveal the presence of Jesus when I'm with straight people and with gay people, believers and unbelievers, in crowds of people and even when I’m completely alone. It’s not something I take on or off. What this does is it enlarges my capacity to be with LGBT people and see them as people rather than a sexual identity. It also allows me to be a witness to the goodness & character of God rather than just a proclaimer of sexual values. It makes room for me to meet the needs of LGBT people rather than assuming their need is a clarification of God’s sexual standards. I think this is where we have failed the LGBT people in our communities. We were confused about our role in their lives. Our role is not to correct, it’s to pursue & love fiercely because God has pursued & fiercely loved us. I know, correction is a form of love and that “God disciplines those He loves.” But when it comes to relationship among equals, I don’t have authority to correct. At best, I may develop a relationship built upon respect in which I can gently question or challenge, but even then I’m doing it from a posture of humility. But again, the Christian community has assumed that LGBT people just need a lesson on sexual ethics and that their refusal to buy in to these values is a reflection of rebellion and hard-heartedness. I cannot say more emphatically that this is not what LGBT people need from the Christian community. My belief is that gay people need to be reminded (or maybe hear for the first time) that God did not create them gay so that He could later damn them, or that God is overwhelmingly kind even when we are indifferent or even hostile to His relentless invitation. Many Christians think LGBT people have believed lies about their sexual or gender identity, but I believe they have believed a lie about the character of God – largely due to a Christian community that hasn’t reflected the truth. What caused me to follow Christ was not because I fell in love with His sexual ethic. Actually, I fell in love with His character despite His sexual ethic. It was when I walked into church having missed the mark of my own sexual standard (let alone His), and He embraced my soul with a ferocious love that I had never experienced up until that point. He surprised me with his patience, and broke down my defenses with His kindness. He met my needs and didn't’ shame me for them. So let’s adjust our aim to reveal what God is like, rather than solely what he has said on a particular area of sexual expression. It’s your purpose and your identity – a child of God who looks just like your Father. These tips, along with numerous other insights, are found in an excellent resource called “Guiding Families” availableHERE.